She became first female, African American, and Asian American, to hold the office of Attorney General of California in 2011. She was previous the District Attorney of San Francisco where she helped create a special Hate Crimes Unit. 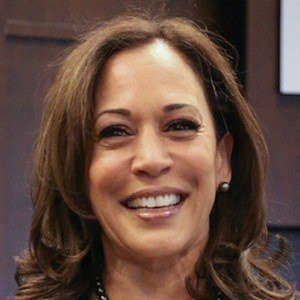 Considered the frontrunner by the AG post immediately upon entering the race for Attorney General as she was endorsed by California Senator Dianne Feinstein and House Speaker Nancy Pelosi. Before she took office, she took part in negotiating a settlement with the major mortgage lenders that contributed to the financial crisis. In her youth she accompanied her Stanford professor parents to civil rights marches. In a Bay Area fundraiser where she was present, President Barack Obama praised her as "by far the best-looking attorney general in the country," a comment that generated some criticism.